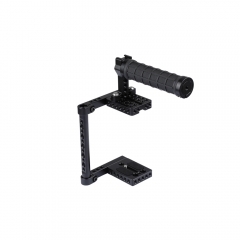 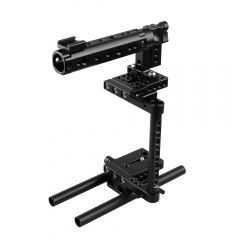 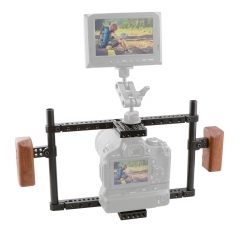 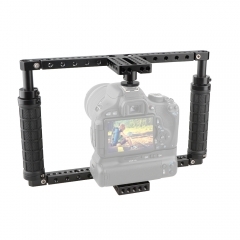 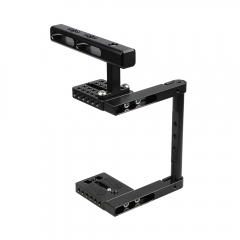 The Professional Camera Cage is made of hard anodized aluminum for durability. 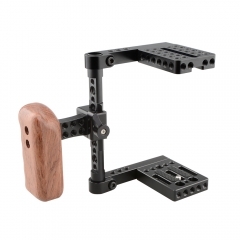 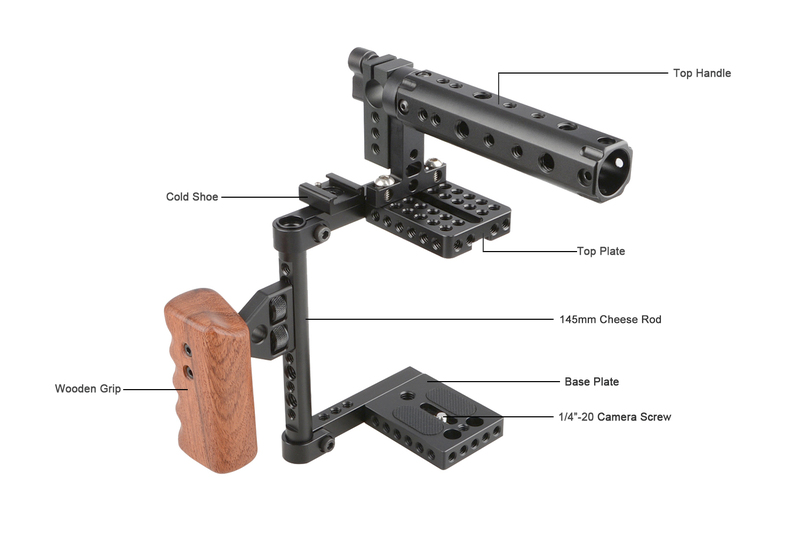 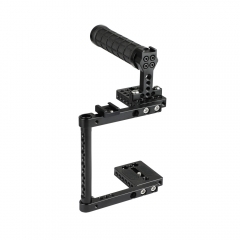 The Robust Cage not only protects your camera but so Provides Numerous of mounting choices, features a mounted wood handgrp and 1/4"-20 mounting accessory holes so you can mount accessories to your camera without stressing the body. 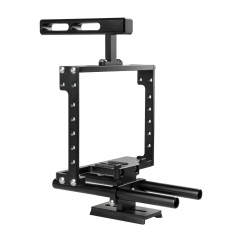 Mounting Hole for base plate: 1/4"
CAMVATE Compact Camera Half Cage Rig With NAT..
CAMVATE Universal Camera Cage Rig With Tripod..
CAMVATE DSLR Camera Cage Rubber Top Handle & ..
CAMVATE DSLR Camera Cage Rig With 2 Shoe Moun..
CAMVATE Basic Camera Cage Rig With Top Handle..
CAMVATE Universal Camera Cage Rig With Double..
CAMVATE Full-frame Cage With Rubber Handles F..
CAMVATE Full-frame Camera Cage For Large-size..
CAMVATE Adjustable Cage with QR Hot Shoe Adap..